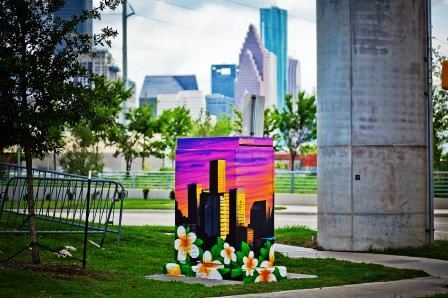 Explore community events and activities in the greater northside area of Houston. We locally distribute events ranging from fun family activities and business meetups to municipality and local government. Submit your own event for approval below. The Northside Chamber of Commerce is a great place to find local employment opportunities. We work with many of the business that provide the majority of the employment opportunities in our community and continue to partner with new businesses regularly. Get acquainted with our Current Members. If you are not currently a Member, please check out our "Member Benefits" section to explore the different options that we offer. We have options available to fit most any budget and we will do our best to accommodate your and/or your company's needs. We will work for you! Welcome to the Northside Chamber! Membership in the Greater Northside Chamber of Commerce provides a variety of opportunities for both community members and businesses, including: legislative influence, community engagement, networking events, and workforce and economic development. If the idea of being involved, at more of a ground level, with a Chamber that serves one our city's most historic and re-surging communities sounds interesting to you, we would much welcome having you join us! We have Membership packages available in which to serve most any need. Thanks to this renewed interest in Northside, both commercial and residential developments have been springing up all over the area. Northside Village, a modern but affordable housing development, transformed abandoned commercial land into an appealing new neighborhood. The addition of popular music venue White Oak Music Hall and the proposed redevelopment of the Airline Farmer’s Market has brought renewed excitement and interest. Networking Evening Social - April Edition! Luncheon with World Amateur and Professional Champion - Rocky Juarez!- IMPORTANT UPDATES! List your event here with the Northside Chamber of Commerce. Reach the community, grow your business and help us build the Greater Northside. I feel that I can honestly state that Northside is now simply one of the most exciting communities in our city in which to be involved in! The constants throughout the near 150 years that this historic community has been in existence are its unique senses of identity and pride. "The Northside Way!" Business owners, developers, investors and residents from different regions of this city, state, country and even the world are feeling and witnessing these senses and want to be a part of it.